News and twitter widgets will now automatically resize so that all of their contents are visible (without internal scrollbars being required). This is a particularly useful feature if you have the “News headlines appearance after being read” setting set to “Hidden”. Autoresizing will not happen for any tabs that are in “free” positioning mode. 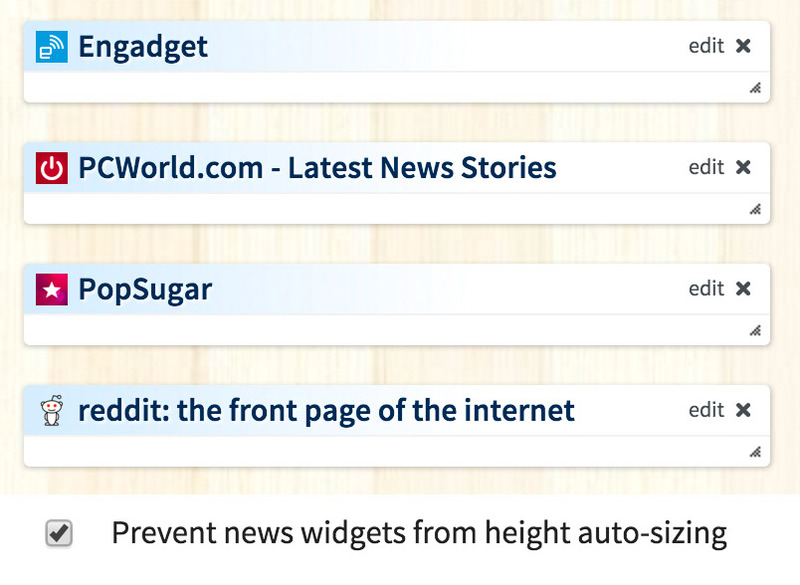 There is also a setting accessible in the Colors/Settings menu to disable all widget auto resizing (it is called “Prevent news widgets from height auto-sizing”). This entry was posted on Saturday, October 17th, 2015 at 10:26 pm	and is filed under new features. You can follow any responses to this entry through the RSS 2.0 feed. Both comments and pings are currently closed. Excellent, best of both worlds now for me. Many thanks for this new setting I will be trying it out straight away. I like this feature but I find that I often have to refresh the widget in order to get it to resize. i am interested in this feature. Many thanks for this new setting I will be trying it out straight away.